If you’re wondering what’s causing your ankle pain and aren’t sure about the best way to treat it, then don’t delay in getting an examination by a specialist like Dr. Gary M. Kazmer, one of Illinois’ top podiatrists. 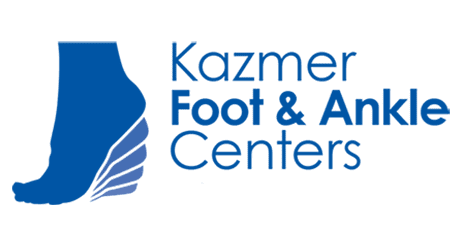 Make an appointment online or by phone with Kazmer Foot & Ankle Centers for a personalized consultation at his Barrington, Elgin, or Chicago office. How are ankle conditions diagnosed? First, Dr. Kazmer gives you a physical examination, observing your ankle and other parts of your feet for visible signs like swelling and bruising. Next, he presses multiple areas of your ankle, calf, and foot and gently gauges your foot’s flexibility and level of pain. Dr. Kazmer frequently orders one or more imaging tests like X-rays, MRIs, or ultrasounds to help reach an accurate diagnosis. When should I see a doctor for ankle pain? Everyone’s threshold for pain is different, so Dr. Kazmer doesn’t recommend guessing how severe your injury or chronic condition is by how much your ankle hurts. When in doubt, visit Kazmer Foot & Ankle Centers to have your ankle checked out. Apart from unbearable pain, many symptoms clearly call for immediate medical attention. Visible signs include deep bruising, a protruding or deformed bone, infected skin, or an open wound. Other signals include not being able to put weight on your foot, and significant swelling or pain that home remedies like RICE can’t alleviate. Recovery time varies significantly by the cause and treatment options, but the earlier you seek professional medical guidance, the sooner you’ll start the path to healing. Call or book an appointment online today for a personalized consultation with Dr. Kazmer.